Once Upon a Learning Adventure: The Magical Product Swap! Happy Late New Year! I'm popping in really quick for a post I've really been looking forward to! 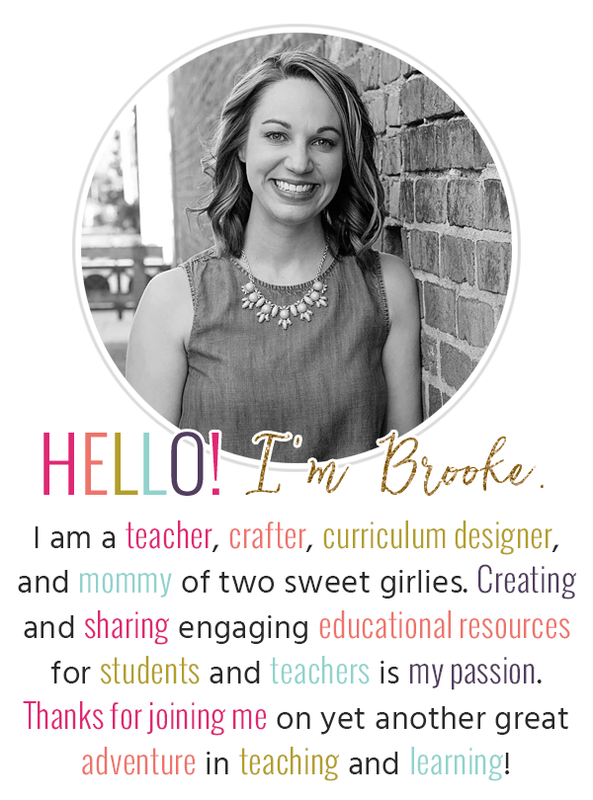 This year, I have been so lucky to participate in the Magical Product Swap Linky hosted by Mrs. Stanford's Class--if you haven't checked out her site, definitely do, she's got fantastic ideas and resources! 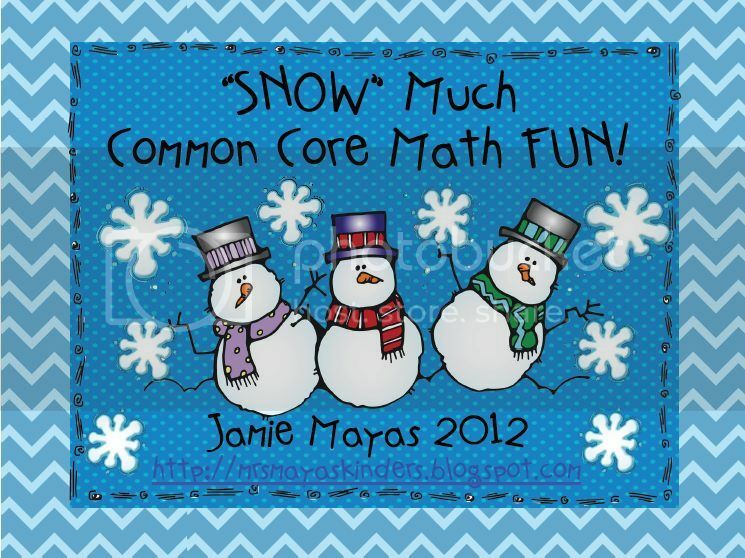 My students and I have been back at school for 7 full days, and one thing that has really helped our "New" year get off to a great start was Mrs. Mayas' "Snow Much Common Core Math Fun" Set! Although this kit is aligned to the Kindergarten common core standards, it was super easy to adapt it for my firstie friends! 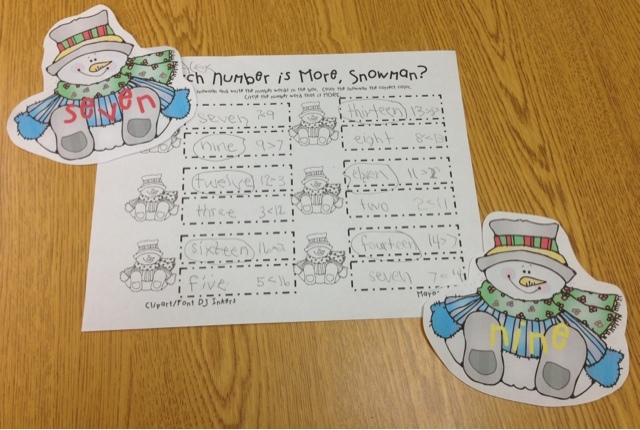 In "Which Number is More, Snowman?," they chose two number words, then circled two show the larger number. To align to our first grade standards, the students also used symbols two compare the two numbers...they did great! If you'd like to check out more of Mrs. Mayas' units and activities, please check out her adorable blog and her TPT store! If you want to participate in the next Blog Swap, check out Mrs. Stanford's Class! Thanks for stopping by--I promise to be back later this week with some freebies for teaching space! 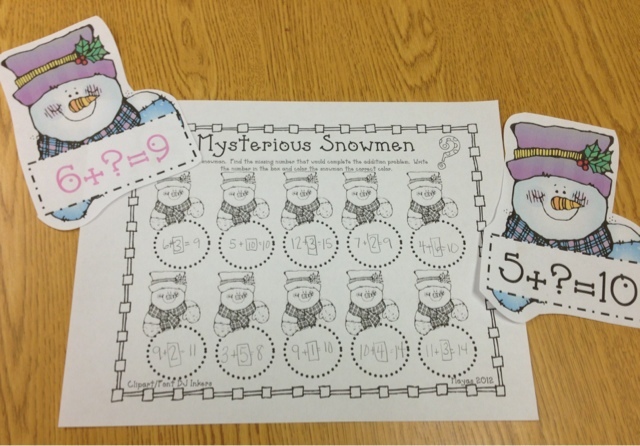 Mysterious Snowmen look so FUN!!! Great product review. Thanks for sharing! Space Case! And a 100th Day Sneak!